Herbert Candia and Alex Ndibwami of Uganda Martyrs University report on a site visit they went to Nairobi with project partners from Kasese municipality. The goal of the visit was, by visiting two recently completed and published energy efficient buildings, to convince the Mayor, Town Clerk and Site Engineer that it is possible to deliver an energy efficient building today. 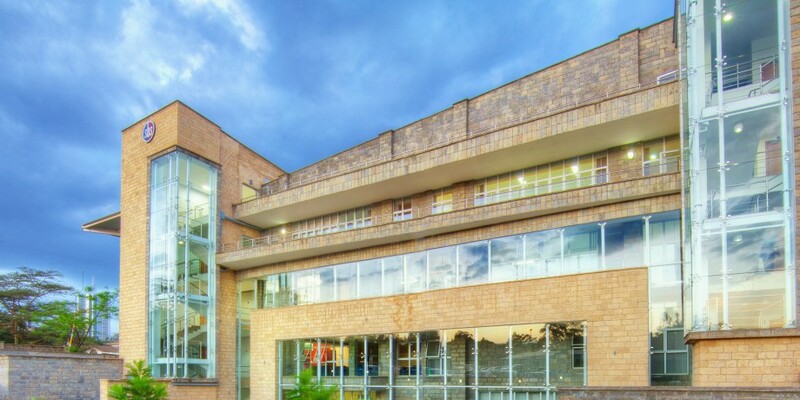 The buildings included Strathmore Business School at Strathmore University and the UNEP/UNHabitat office facility at the UN Headquarters in Nairobi. 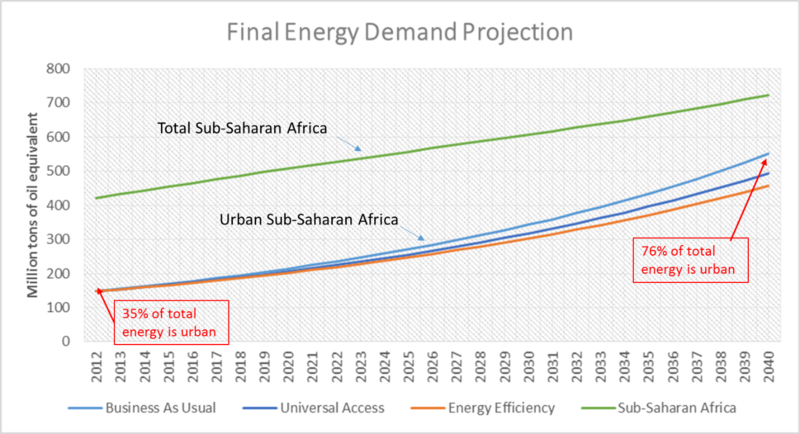 When speaking about energy efficiency in sub-saharan Africa you would expect that the years that followed for example the construction of the Eastgate building in Harare, Zimbabwe by Mick Pearce would have registered a considerable number of examples local to the region. More often than not as a result, the references we make are a mix of more western attempts the price for which we pay in misplaced parallels. In Uganda, reference to local attempts is only safely to buildings that were designed and built during the colonial era especially those that have not been ill advisably retrofitted with air conditioning. 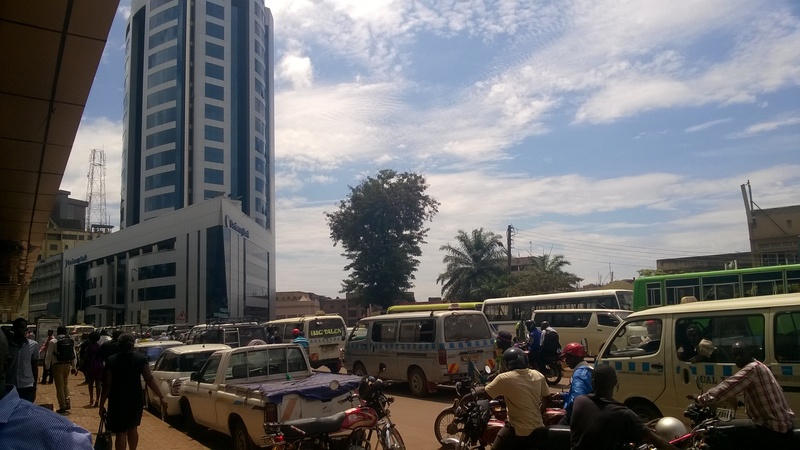 However, we can proudly acknowledge the fact that one building – the Jinja municipality headquarters stands soundly in its balanced rectilinear form and elegantly in its well-orchestrated fenestration as both light and air grace it efficiently. 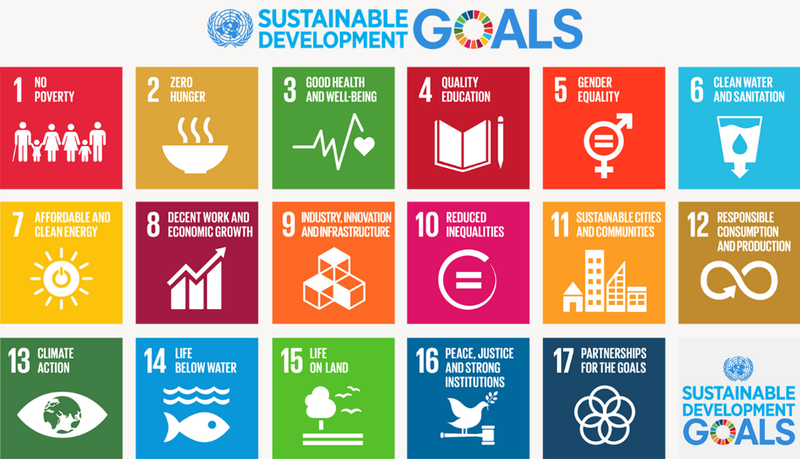 Of course there are some opportunities yet to be taken advantage of, for example: water harvesting, local waste management and making the most of the outdoors for its environmental and social-cultural potential. Here we are with two project partners, Jinja and Kasese municipalities: Jinja, that has a 56 year old energy efficient building and Kasese, that is only building theirs today. The task ahead for us is to transform Kasese’s two storey predictably energy inefficient building into an energy efficient one. 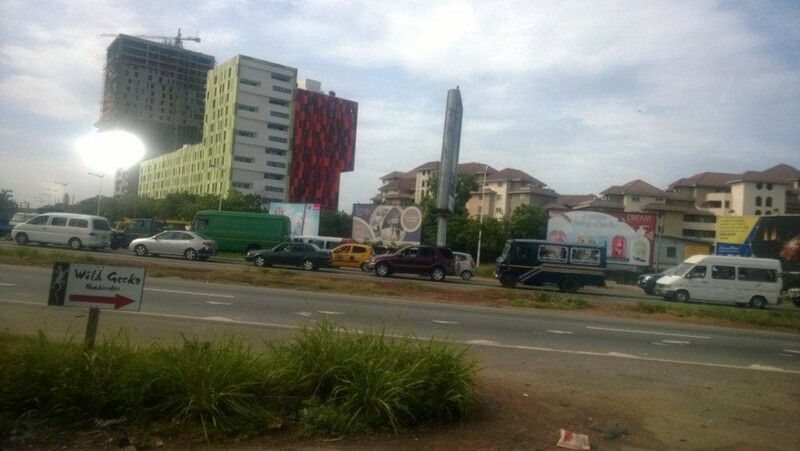 The bigger challenge presented though is that this building is under construction. There is no evidence in the drawings that energy efficiency was considered, rather a form that was dictated by key functions the building will accommodate. Unfortunately, it is abundantly clear that there are hardly any recently completed multi storey buildings that demonstrate any energy efficiency let alone any consistent attempt to document where efforts have been made. Indeed, we need more “local” examples of energy efficient buildings whose attempts resonate with our context in order to nurture an attitude of design and construction for energy efficiency. Public buildings can play a leading role and it ought to be a key strategy for municipalities to champion. This can start in exhibiting their headquarters as a local example and later in how the planning approval process is undertaken. 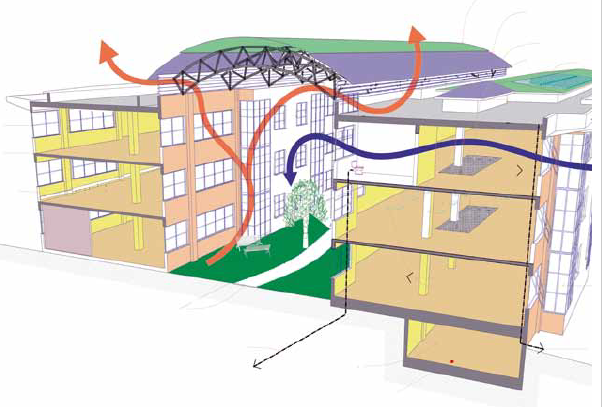 This would be a key step in transitioning to a more energy efficient built environment. 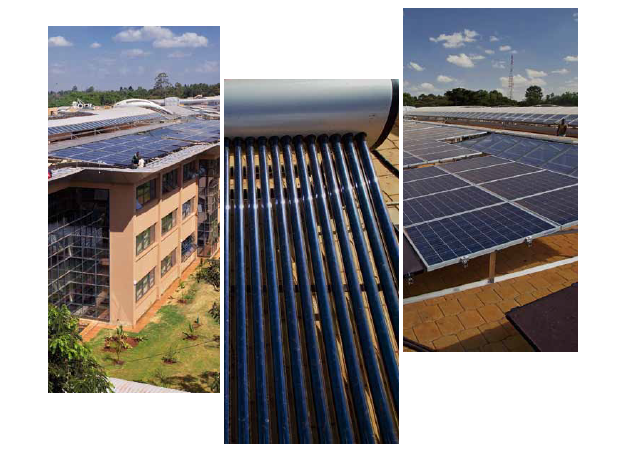 Coincidentally, a process is underway in which a building code that will feature energy efficiency is being drafted for Uganda. In order to avoid the historical weaknesses in policy and regulatory frameworks where application and enforcement are weak it is crucial that key players are prepared to implement energy efficiency. Project partners from Kasese have shown eagerness and conveyed a sense of appreciation to have their new building reconfigured for energy efficiency. The visit to Nairobi thus, is one way of exposing key decision makers to the possibilities. We also hope that the design process and the decisions that will contribute to reconfiguring the building for the better will serve as a capacity building exercise. To boost the design process and promote ownership, we will hold a workshop based visit to Kasese to reveal the possibilities while accomodating any feedback leading up to implementation. Inadvertently perhaps, other local governments following our documentation of the process and outcomes will emulate it all. 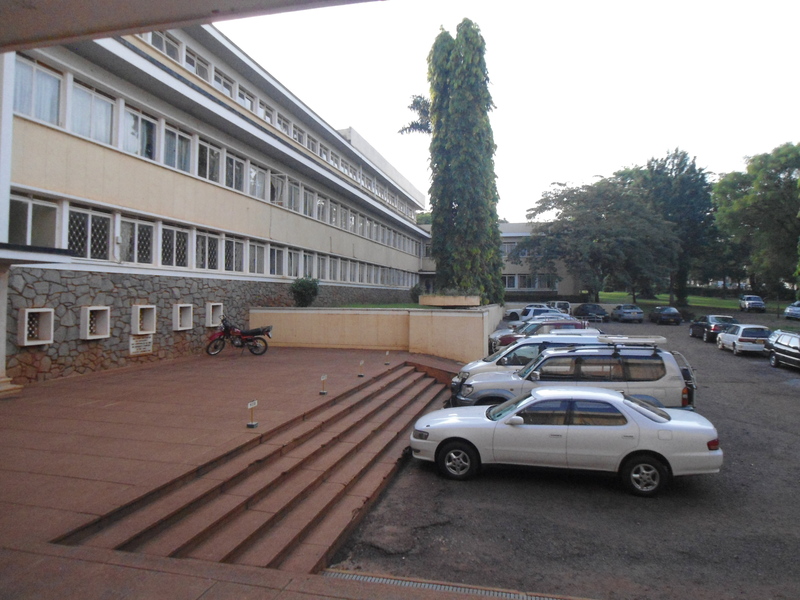 This entry was posted in Uganda Martyrs University and tagged Air Flow, Building Design, Built Environment, Colonial, Cooling, Efficient Buildings, Energy Efficiency, Harare, Heating, Jinja, Kasese, Kenya, Municipal Buildings, Municipalities, Nairobi, Public Buildings, SAMSET, Sub-Saharan Africa, Uganda, UN, UNEP, Ventilation, Zimbabwe on March 10, 2017 by danielkerrucl. Simon Batchelor from Gamos writes on the increasing role that smart energy storage solutions have in developing sustainable urban energy. On Friday 4th March 2016, the UK government published an interesting report on ‘Smart Power’ which might be relevant to the forward thinking municipalities of SAMSET. This was a review where the the (UK) National Infrastructure Commission was asked to consider how the UK can better balance supply and demand, aiming towards an electricity market where prices are reflective of costs to the overall system. Its findings have some relevance to the longer term planning for the municipalities involved in SAMSET. ‘Smart power’ makes practical recommendations to improving the electricity market of UK – not new subsidies or substantial public spending but three key recommendations. 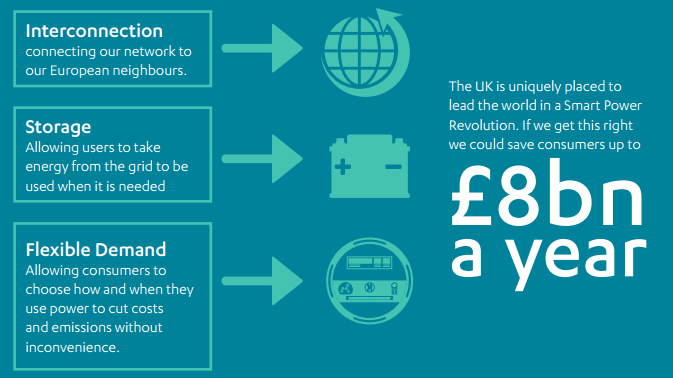 One of the three key recommendations is “to encourage network owners to use storage.” The Smart power report found that the flexible smart power system recommended by the National Infrastructure Commission could result in savings of up to £8.1 billion a year by 2030. The strategic use of storage could create an operational flexibility that would “significantly reduce the integration cost of intermittent renewables, to the point where their whole-system cost makes them a more attractive expansion”. Increasing flexibility was found to be “low-regret option”, reducing the overall cost while maintaining security of supply requirements. Why is storage a key to unlocking the UK grid? Storage allows consumers and suppliers to take energy and store it so that it can be used when it is most needed. 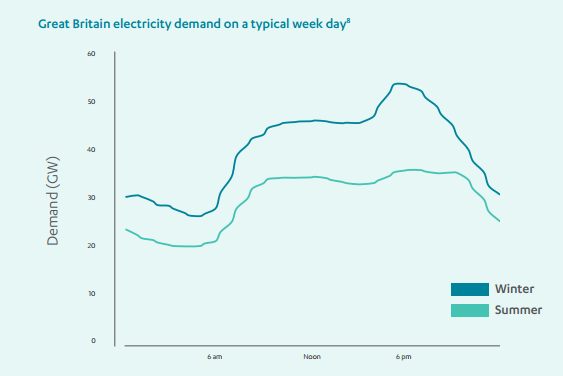 In the UK electricity prices vary throughout the day, and across the year. When demand is higher, prices rise. Storage technology allows consumers to buy electricity when it is cheap and use it later when it is needed. There are a number of ways electricity can be stored. Today, the UKs main source of storage is through pumped hydro – simply converting electric energy into potential energy and back by moving water up and down a hill. There is, however, an increasing range of alternative ways to store energy including; chemical batteries, compressed air and supercapacitors. Electricity has historically been difficult and expensive to store. However, over the last decade there has been a great deal of innovation in electricity storage technologies driven mostly by consumer electronics like mobile phones and investment in electric vehicles. This rapidly evolving environment has driven innovation and reduced costs. For example, the cost of lithium ion batteries has decreased from more than $3,000/kWh in 1990 to less than $200/ kWh today. These technologies are now on the verge of being able to compete with power stations for some of the services they provide. Crucially, storage technology will not need subsidies to be attractive to investors – businesses are already queuing up to invest. We are not talking small batteries here. The report gives two examples. The ‘Kilroot Advancion® Energy Storage Array’ is based in Carrickfergus in Northern Ireland and offers 10 MW of interconnected energy storage, equivalent to 20 MW flexible resource. This storage – which is comprised of over 53,000 batteries – is able to respond to changes in the grid in less than a second, providing a very fast response ancillary service to help balance the electricity system at times of high demand. The array is a fully commercial project, with no additional costs for consumers. The ‘Big Battery’ in Leighton Buzzard scheme features a 6MW/10MWh storage solution comprising approximately 50,000 lithium ion batteries, which has enabled UK Power Networks to manage electricity demand at peak times without building excess capacity. It is the idea that storage unlocks some of the generating potential of the middle of the night that may prove attractive. With the right policy environment, battery costs could enable municipalities to mitigate power outages, and shave off peak loading. This would give everyone a better experience with their electricity supply, enable more renewables to be in the system, and according to the report, this could be done at no additional cost to the consumers. Most grid profiles are similar to the one above for the UK. There is low use in the middle of the night, increasing during the day, and with a peak demand in the early evening as lights, televisions and cooking come on. 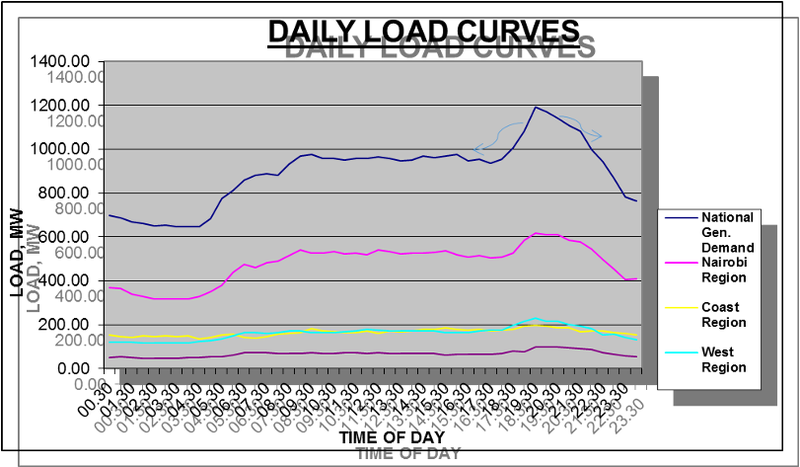 This is true even for sub Saharan Africa as the daily load curves for Kenya illustrates. Using and storing that ‘middle of the night’ energy could improve consumers experience without creating new generating capacity. This entry was posted in Gamos and tagged Battery Storage, Dispatchibility, Energy Efficiency, Energy Storage, Energy Strategy, Grid Connection, Grid Interconnection, Interconnection, Kenya, Lithium Batteries, Power Storage, Smart Energy, Smart Grid, Smart Power, Sub-Saharan Africa, United Kingdom on March 24, 2016 by danielkerrucl.